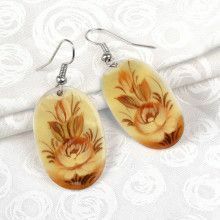 This southwestern jewelry set features one pendant, and a pair of earrings. 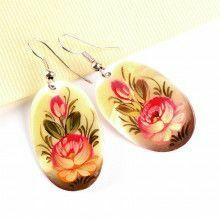 The earrings measures 1 3/4" in length by 3/4" in width. 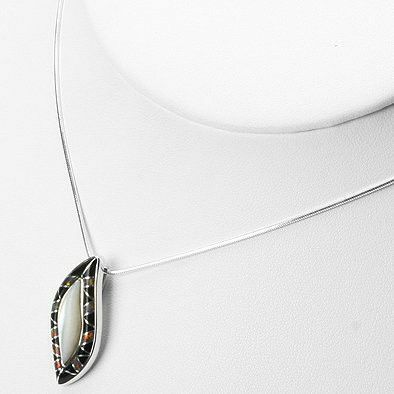 The pendant measures 1 1/4" long by 1/2" wide. 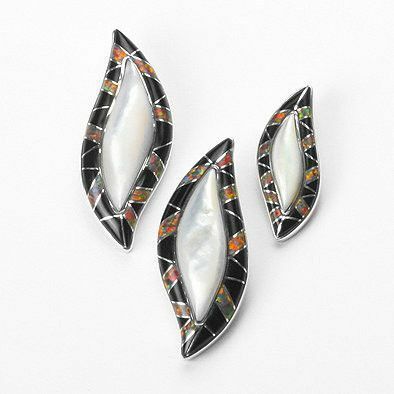 Both pieces of jewelry feature mother of pearl in the center with an inlay of black onyx and lab created opal surrounding it. 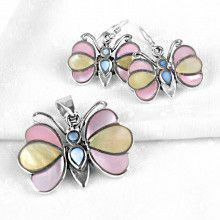 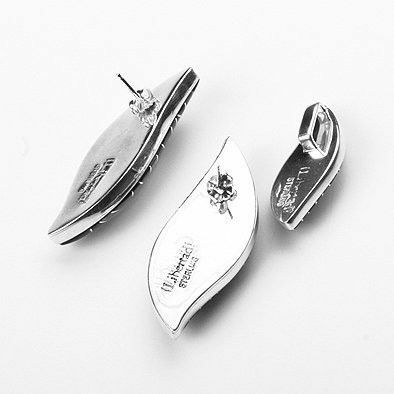 Both the earrings and the pendant feature genuine .925 sterling silver. 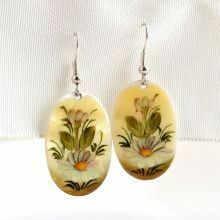 Earrings: 1 3/4" x 3/4"
Pendant: 1 1/4" x 1/2"